Voters in the world’s second-largest producer of mined copper and zinc cast out some fierce opponents of giant mines, ushering in a change of guard that could potentially lure investments to some of Peru’s most impoverished regions. Citizens in Cajamarca, the South American nation’s poorest region, elected pro-investment candidate Mesias Guevara, ending the rule of an anti-mining movement that has governed the region for the past eight years. In Moquegua, where Anglo American Plc is building the $5.3 billion Quellaveco copper project, and Apurimac, where MMG Ltd. operates the Las Bambas mine, winning candidates didn’t voice opposition to mining. It is going to be more complicated for Southern Copper Corp.’s Tia Maria to get that social license with a governor that has been openly opposed to the project. While governors can’t directly veto mining projects, their support is key to winning local communities’ approval. In the past, regional leaders including former Cajamarca governor Gregorio Santos have marched alongside groups that oppose projects. Development plans worth billions of dollars remained stalled in several regions due to local opposition. President Martin Vizcarra, a former regional governor, aims to boost annual mining investment gradually to $8 billion when his term ends in 2021, compared with $4.6 billion forecast for this year. While mining investment in Peru’s copper-dependent economy has rebounded 27 percent this year through October, the nation could see more inflows as sentiment shifts. 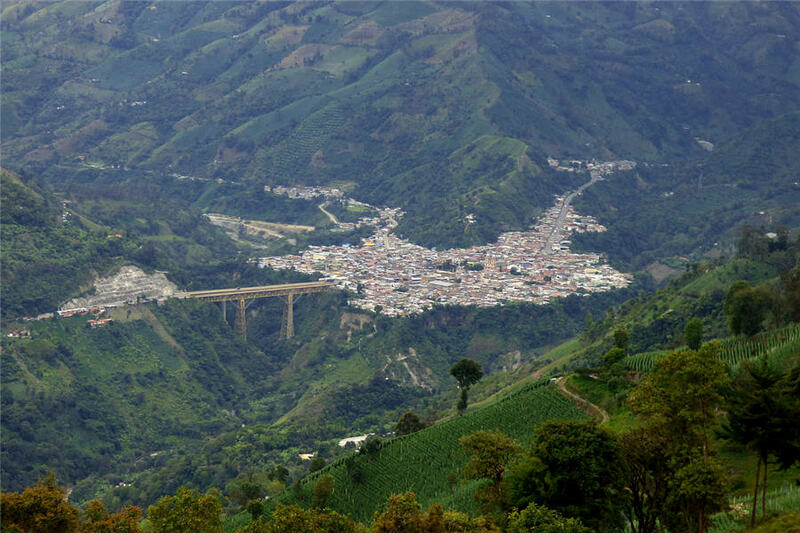 Cajamarca could attract as much as $18.2 billion investment in new projects, according to the Mines and Energy Ministry. The region accounted for 7 percent of total mining investment in the first 10 months of the year. The conditions are ripe for an increase in mining investment in Peru and there’s no reason why Cajamarca shouldn’t develop new projects if local communities support them, said Miguel Roman, a lawmaker who chairs the energy and mining committee in Congress. Mining companies that show respect for the environment should be welcomed, he said. “Before, there was a total rejection of even evaluating these projects but now I think it could happen,” he said. Roman is a member of the Popular Action party that will govern Cajamarca, two other regions and the capital Lima for the next four years. The national government needs to work with communities in areas with mining potential and allay concerns about the environmental impact of future projects to reduce the risk of social conflict later on, he said. “It’s very clear to us that private investment is the motor that should drive the economic development of our people,” Ramon said. In some regions including Arequipa, anti-mining candidates prevailed. Southern Copper Corp.’s $1.4 billion Tia Maria project has been stalled for years amid communities’ concerns over the potential impact on water and air quality. Elmer Caceres, who won the gubernatorial race, spoke against Tia Maria during his campaign. He has also opposed other major projects, including Teck Resources Ltd. and Mitsubishi Corp.’s $1.2 billion copper and gold Zafranal mine, and Cia. de Minas Buenaventura SAA’s Tambomayo mine. Cajamarca governor-elect Guevara didn’t respond to requests for comment by phone and text message. Caceres didn’t immediately reply to emails and calls to his political party seeking comment. In Moquegua, the governor-elect Zenon Cuevas went from leading anti-mining protests that turned violent in 2008 to adopting a more moderate view in this election. In Puno, where Bear Creek Mining Corp. wants to build a $585 million lead, silver and zinc mine, governor-elect Walter Aduviri has said he will be talking to small miners, but he said he has a critical opinion of large, multinational mining companies. As much as $1.76 billion could be invested in the region if all mining projects went ahead, according to the Ministry’s report.